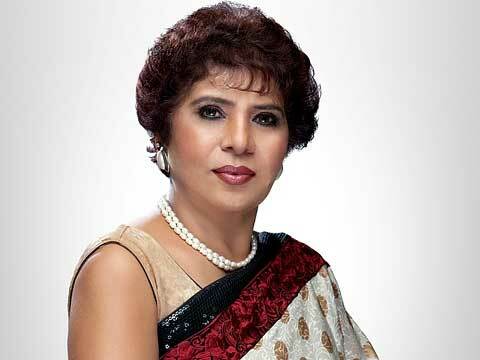 Leading cosmetologist Bharti Taneja unveils her expansion plans to Wellness India. She plans to open e-institutes and spread her beauty clinic in every nook and corner of the country. Leading Aesthetician and Cosmetologist Bharti Taneja, who introduced the concept of Gold Facial in India, unveils her big expansion plans to Wellness India. She plans to open e-institutes, and spread her Alps Beauty clinic in every nook and corner of the country. Bharti Taneja and Alps are names synonymous with beauty and glamour. The Group has made successful inroads in the industry with its prestigious chain of academies and skin clinics, imparting knowledge, professional skill and insight of the beauty trade with its 17 centers, 9 cosmetics clinics and 8 Ayurveda institutes in the country. Taneja, who established the brand in a bid to make people beautiful, has big plans. The brand is all set to enter in organic products category, to come up with its own colour cosmetic range, and also plans to tap online medium for spreading education across India. I was a teacher before conceptualising this brand, used to teach Science and Maths to the students for three years in Happy Model School. When I thought about starting my own business, I thought of opening my own beauty institutes. Somehow, I could not think of anything else as the sector is so vast and have a huge scope of development. Every year I go abroad and bring new innovations, I teach because that is my passion and profession. I always wanted to do something which could bring me name, fame and everything. It was my childhood wish. When I started my business, I wanted to do something which may bring attention and would be fascinating. I started my first parlor in a room, which turned into a clinic later. Since the inception of my first project, I wanted to grow and make my brand established across the globe. When I started my brand, I invested only Rs 2,000 in it. People always have this fear that if they do not have money, they cannot start it, but I believe, if you have courage, aim and desire to do something in your life, you can always do it. I started with a small parlor and my family wasn’t in favour of me getting into a beauty business. However, I was determined and took it as a challenge. Today, when I compare this trade with the time I started, its scope and scenario has changed manifolds. Today, competition is high, labour is expensive. Still, whatever you invest in this business, you get much more in return. Previously, only those who wanted to attend party or are getting married, used to get beauty treatments done. Even for hair cut and other essential rituals like threading, waxing and all, people used to visit salons during special occasions onle. Very few people were there who used to take skin care treatments in salons. However, if I would talk about now, with the growing population, awareness has also increased manifolds among people, especially after the prestigious beauty pageant being bagged by Indian beauty. After this, beauty business started growing very well. Earlier, only less educated people used to handle this business, but now the educated lot is foraying into it. Undoubtedly, awareness is playing an important role in the growth of this business. Yet another essential factor is gradually picking up male grooming business, which is contributing in the industrial growth. Today, men want to look handsome, smart and groomed. We already have our own product range with the name Vanya, which is an herbal product range. Now, we are almost ready to enter the organic and herbal products market. I am coming up with my colour cosmetics range and we are going to have shops in different malls. In the next six month, we are coming up with three kind of products; herbal, organic and colour cosmetics. We are also coming up with E-Institute format to spread education and online training for beauty professionals. Earlier, my ultimate objective was to expand only in Delhi/NCR. But now, ever since my both daughters are equally involved in the business and are with me, we really want to expand. Initially, we plan to expand in North India and then gradually we’ll spread our wings in other parts of the country as well as abroad. We are open to investors, ready to give franchise to the interested entrepreneurs and now we have made different modules also. We also have plans to open a lot of specialised clinics, parlors, unisex salons, skin treatment centers and so on.